At the April meeting History Honours student Jessie Annett-Wood explained the Laura Rosier book archive and showed printed examples of the methods being used as she helps recover the archival material and formats it into a digitally editable form. Laura Rosier spent the 1980’s and early 1990’s researching and compiling a history of Newtown, collating historical photographic material for a Newtown History book. Laura had an encyclopaedic knowledge of the dates of photos and the dates of landmark structures that appear in them. Laura and her husband Vaughan Rosier were active members of the Newtown Residents’ Association. Vaughan was the Newtown Residents’ Association treasurer for many years, and made grant applications for assisting the publishing the Newtown book. After Vaughan Rosier died in 1996 the book material was bequeathed to Martin Hanley and Anna Kemble Welch, neighbours and friends of Vaughan and Laura. Preparing the final edits for publishing has been a long protracted process including nearly losing the material with an editor collaborator of Laura’s who suffered from progressively worsening dementia while working with the archive. The very muddled archive material came back in 2012, and with Jessie and other university students’ help Martin and Anna have re-activated the publishing project. The intention is to compile a digital copy ‘time capsule’ edition exactly as Laura Rosier intended. With an additional supplementary digital edition that includes footnotes and annotations highlighting any areas of incompleteness, or where significant changes over the last 20 years make the written descriptions confusing. 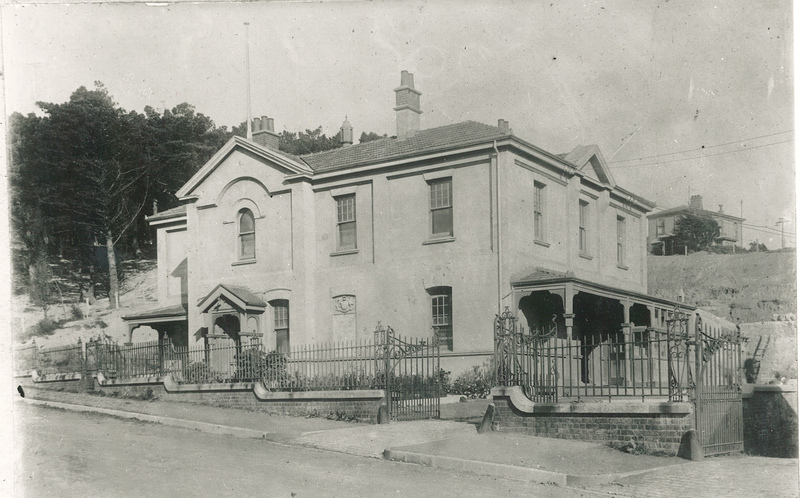 July Quiz: Where is the grand Newtown residence shown in this image from around 1910? Bonus points if you know who lived there. 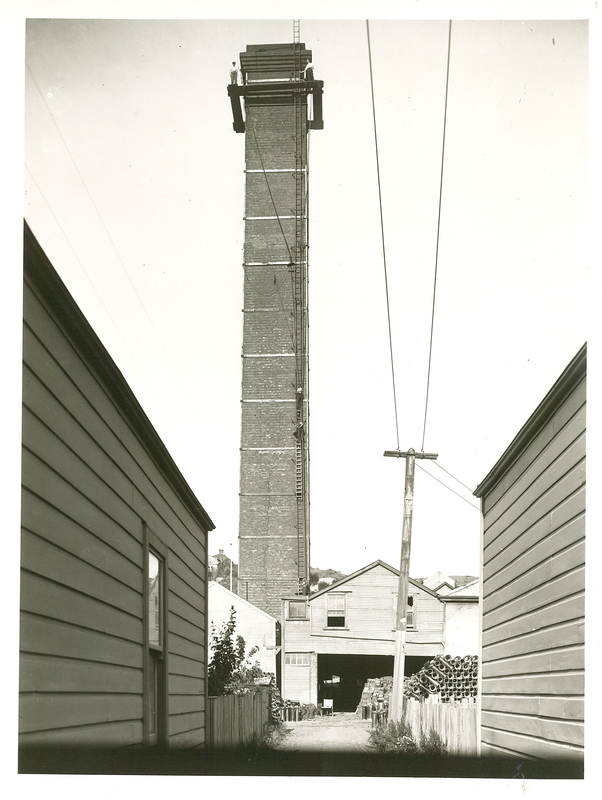 June Quiz: Guess the location & purpose of this chimney. Yes I know we told you at the May meeting – but its such an amazing photo, especially when you click on it to enlarge it & see the people up it ! The correct answer is: The Brick and Tile works at 291 Mansfield Street. Some of the remains of the kilns can still be seen down the laneway at 291. 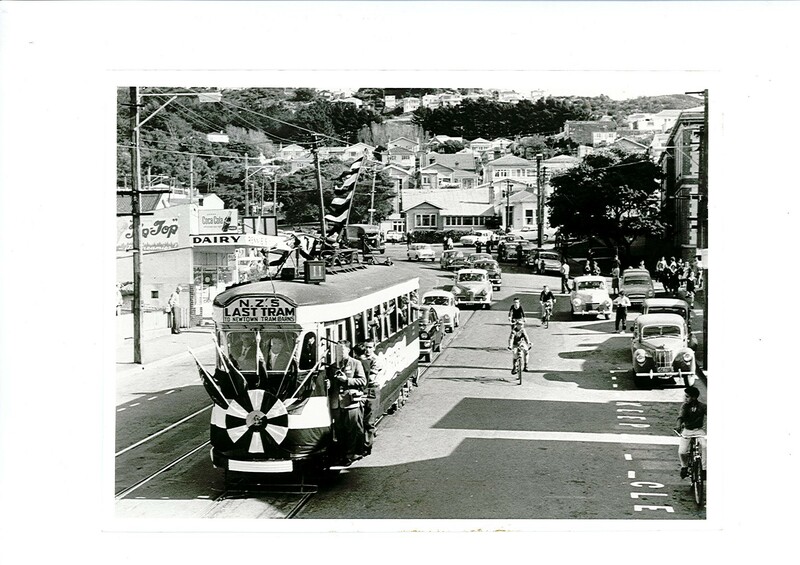 The correct answer is: John Street, with the Dairy being the north west corner of Countdown. 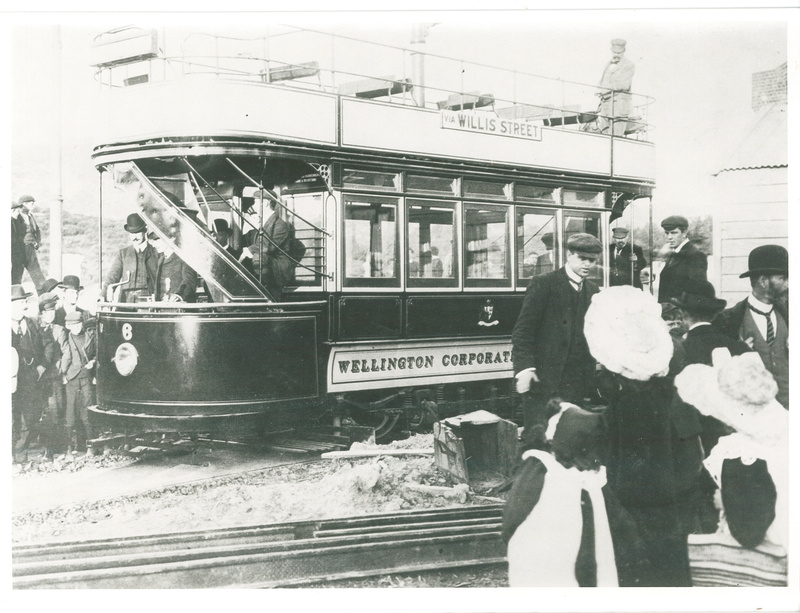 that is a picture taken in John Street on the way back to teh Mansfield Street Tram Barns ….. somewhere on that tram sit myself a a mate whose father was one of the last Tram drivers …. This is the old brick factory on Mansfield Street. The large kilns are still there, now workshops and a doggy day care, but the chimney is long gone. This was where the Newtown Park flats are now. I think it housed the manager of the trams or someone like that. Hope answering twice is a row is not against the rules! Say, weren’t we all told that by November 2013, that an e-edition would be finalised, and up on the web-site. More procrastination from the Hanley’s, I presume.